Pure Colors is a range of exciting moisturizing lip colors. It has natural extracts of Jojoba and Aloe Vera. The unique product qualities are: Uniform dispersion of pigments Rich payoff. Smooth application. Explore the entire range of Lipstick available on Nykaa. 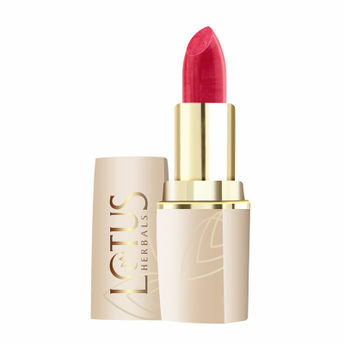 Shop more Lotus Herbals products here.You can browse through the complete world of Lotus Herbals Lipstick .Alternatively, you can also find many more products from the Lotus Make-Up Pure Colors Lip Color range.